Welcome to the web site for the Elder Law & Estate Planning Attorneys of Illinois, P.C. / Law Office of James C. Siebert & Associates, P. C. This website is intended to provide you with information on a variety of legal topics and services offered by our firm, and to provide you with a better understanding of the legal process. We hope that it will answer some of your questions, and make your involvement in the legal process a more comfortable and knowledgeable one. If you would like to learn more or discuss the specifics of your situation, please call the Elder Law & Estate Planning Attorneys of Illinois, P.C. / Law Office of James C. Siebert & Associates, P. C. at (847)253-7500 today to schedule an appointment. 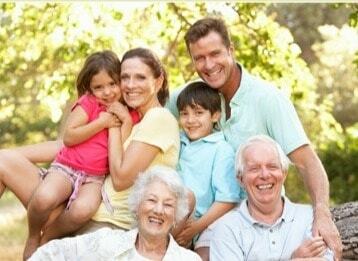 The Elder Law & Estate Planning Attorneys of Illinois, P.C. 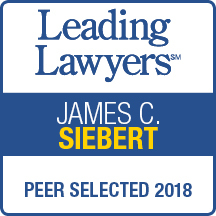 / Law Office of James C. Siebert & Associates, P. C. has been providing legal services to Clients throughout the Chicago area for over 30 years, concentrating in Elder Law, Medicaid Planning, Medicaid Applications, Medicaid Appeals, Asset Preservation, Estate Planning, Alzheimer’s and Dementia Planning, Parkinson’s Planning, Estate Planning for Addicted Beneficiary, Revocable Trusts, Irrevocable Trusts, Special Needs Planning, Special Needs Trusts, Nursing Home Injuries and Abuse, Nursing Home Contract Review, Probate, Trust Administration and Guardianship. 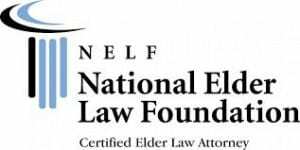 We assist our Clients and their families in the numerous legal issues which are unique to Seniors, those with Special Needs, as well as providing services to Clients of all ages based upon the knowledge and understanding that legal needs change during each phase of a Clients life. We understand that every Client is unique and it is essential that current issue not be considered in isolation, but as part of overall evaluation of the Client’s needs as they currently exist, but also as they can be anticipated to exist in the future. We believe that taking a holistic approach results in a more complete resolution of a Client’s problems, not only those that currently exist but also those which we can reasonable anticipate in the future. We understand that a successful resolution to a client’s problem often requires a creative approach and an understanding of what the client truly wants to achieve. 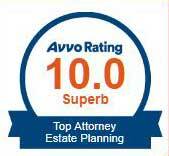 Our goal is to assist our Clients in preparing a comprehensive plan to deal with legal issues they must address during each phase of life, and as they age addressing the long-term issues they are facing, legally protecting them and their families while maximizing the financial resources available to them. If you are looking for a boiler plate, cheap, cookie-cutter job, the Elder Law & Estate Planning Attorneys of Illinois, P.C. / Law Office of James C. Siebert & Associates, P. C. is not the firm for you. We work closely with our clients’ accountants, financial planners, and other professional advisers in order to develop and implement plans and strategies on our clients’ behalf. We seek to cultivate long-term relationships with our clients and their families. It is our goal to become each client’s attorney for life. This goal can only be achieved by having fully satisfied clients. If a client has a legal issue which the office cannot handle, we will find another attorney for you who will handle the matter satisfactorily. Legal Services in Elder Law & Estate Planning, including Medicaid Planning, Applications & Appeals, Asset Preservation, Estate Planning, Alzheimer’s, Dementia and Parkinson’s Planning, Estate Planning for Addicted Beneficiary, Revocable & Irrevocable Trusts, Special Needs Planning & Trusts, Nursing Home Injuries & Contract Review, Probate, Trust Administration and Guardianship.